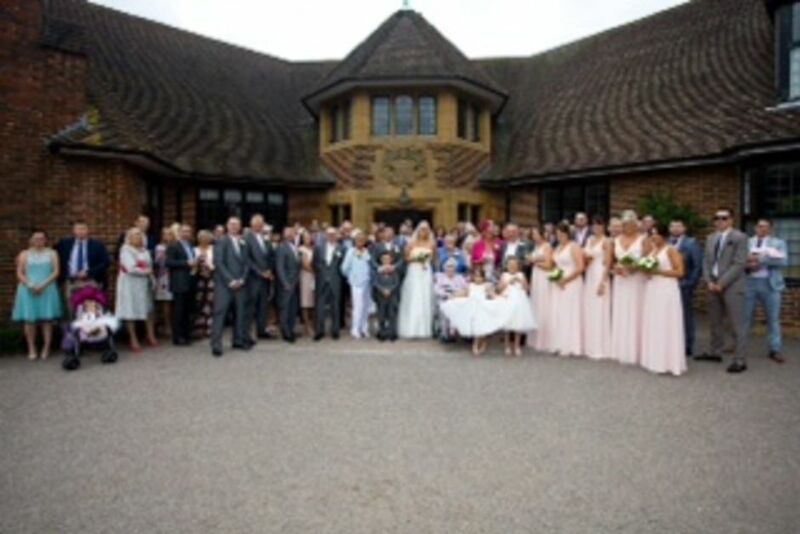 Weddings :: Established in 1929 on 166 acres of Surrey downland, Cuddington has everything a golfer could wish for and more. Refurbished a few years ago the Clubhouse, with glorious outlook and terrace, offers a lovely setting for your wedding reception or party. As a members club holding your wedding here gives an exclusive feel as opposed to the usual commercial venues and hotels. 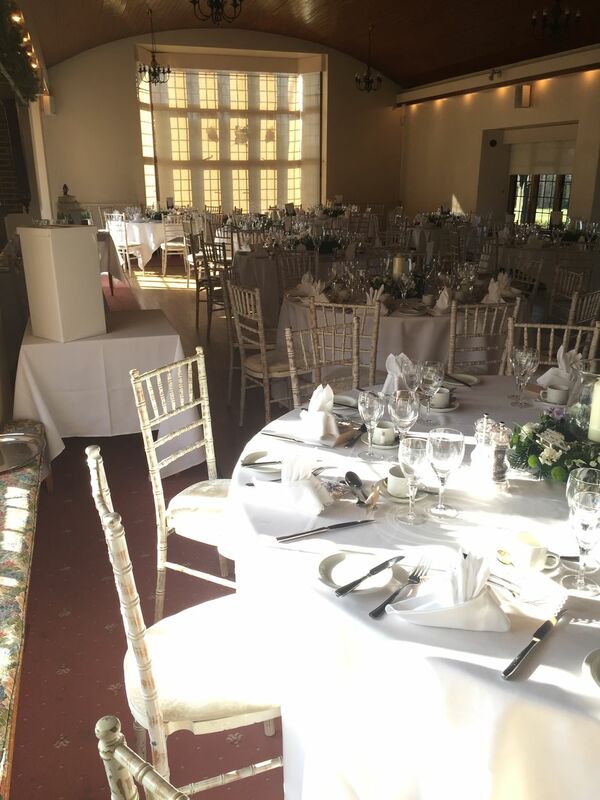 We specialise in the smaller, more intimate receptions with a choice of the Dining Room for up to 60 guests seated or up to 90 guests seated in the Lounge Hall which has French doors which open directly onto the terrace. The main lounge can accommodate up to 150 guests for an informal party or your evening reception. Your wedding reception can be as formal or informal as you wish with every detail individually arranged in advance and run on the day by experienced professional staff who will leave you and your guests to relax and enjoy. You will not be restrcited to a corporate style wedding package at Cuddington but with the help of the planner build your own bespoke details making your wedding reception be what you really want rather than what we think you should have! 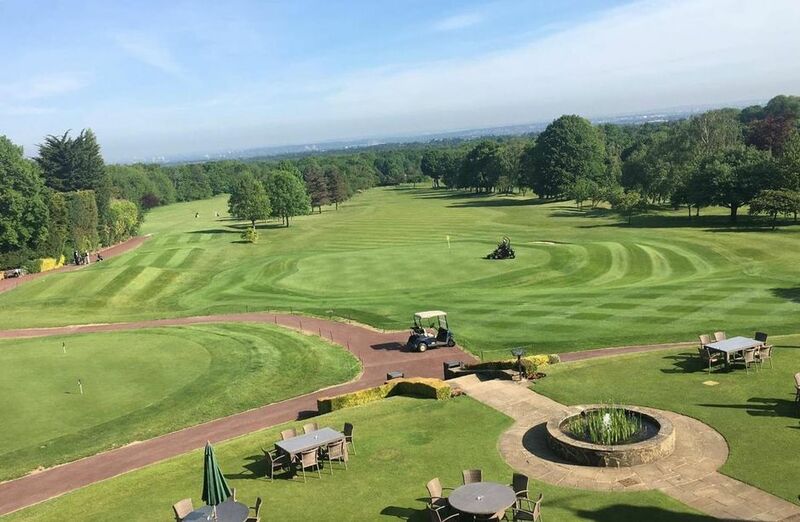 Drinks can be served as you arrive in the Reception Hall or outside on the terrace which has panoramic views across the course and on to London. Our Catering from the Heart team will produce a memorable meal prepared fresh from scratch including home made breads and desserts while our service staff will ensure smooth and friendly service. Please see below for a recent Wedding menu - but a 3 course meal starts at around £25.00 pp. 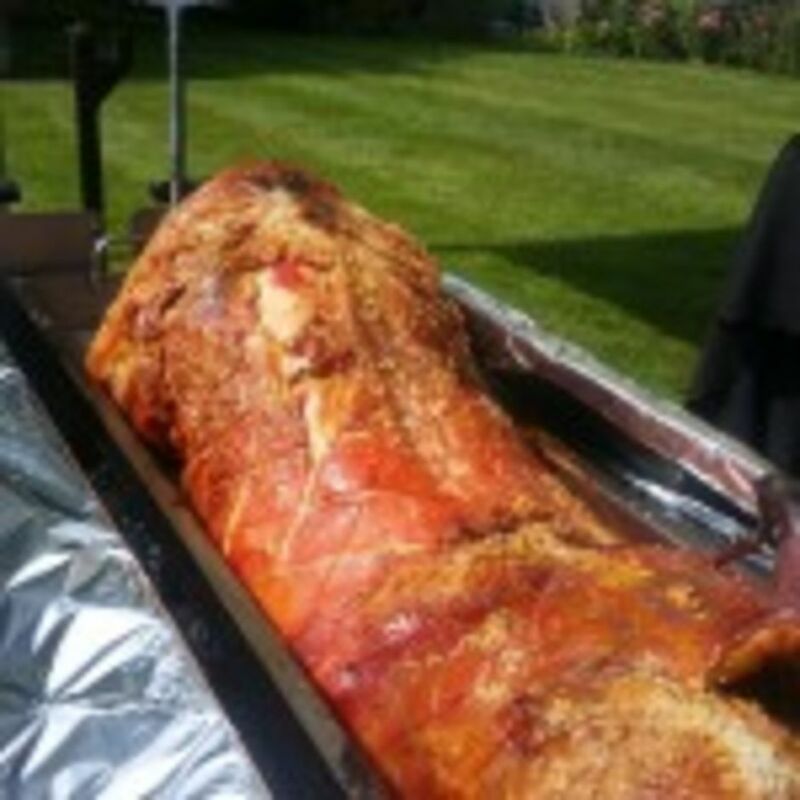 and evening food such as a hog roast around £12.50pp. Our ideas have been well received in the past but we would be more than happy to accommodate your specific requests to suit your tastes and budget. We can also provide the following additional services to assist in planning your day: printed personalised menus, table plan, placecards, colour co-ordinated table linen, flowers, decorations, booking of a trusted band or disco etc. Please note due to our licensing terms you must know a current member of Cuddington who will sign off your booking and must also be in attendance. Room hire for members is £250 and non-members £450 with an extra £100 to extend beyond midnight until 1am. 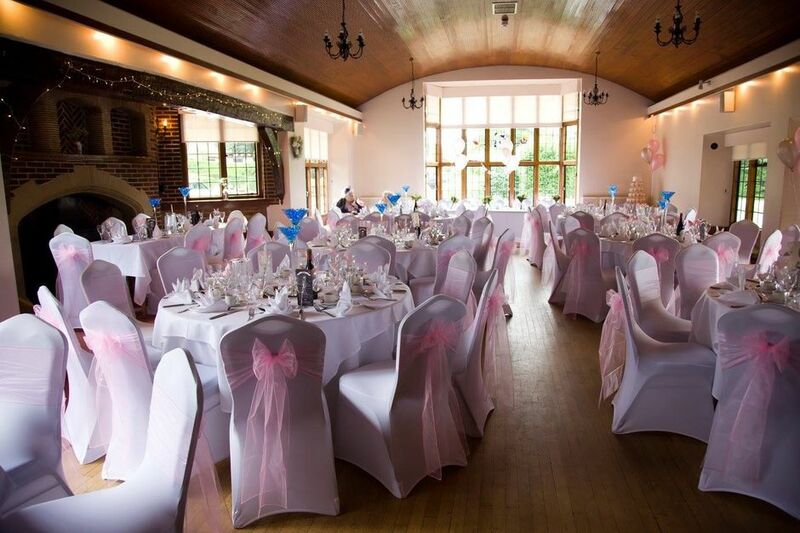 Please call with any questions regarding holding your Wedding Reception at Cuddington. 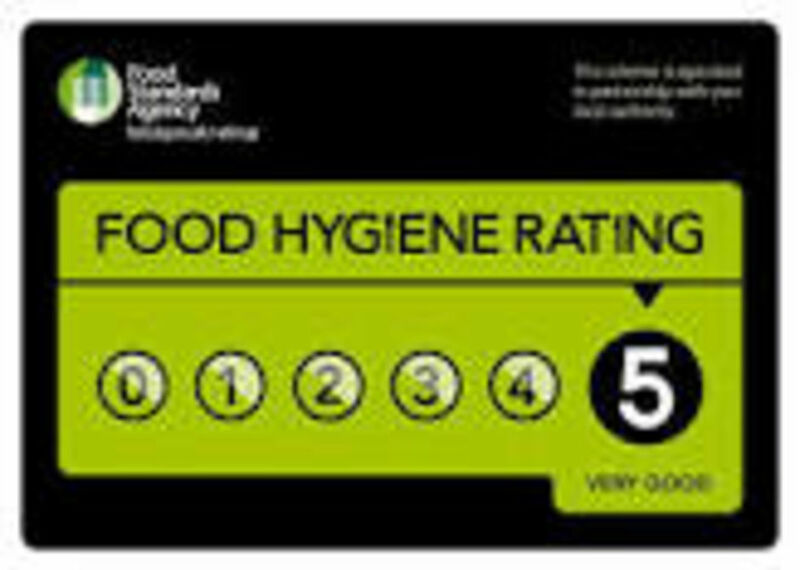 With many years experience you will be in safe hands with our 'Catering from the Heart' team. Please see Catering Page for links to menus.